What is causing our planet to shake so violently all of a sudden? Rivers of lava have been pouring out of the Kilauea Volcano in Hawaii for weeks, a massive eruption of Mount Merapi just a few days ago shot volcanic ash 38,000 feet into the air, and now rivers of lava are pouring out of Guatemala’s Fuego Volcano. Overall, Volcano Discovery is reporting that a total of 34 volcanoes around the world are erupting right now. So what is causing so much seismic activity all of a sudden, and is this a new trend that is going to continue? If you have followed my work for an extended period of time, you already know that I tend to track these things very carefully. Major changes appear to be happening to our world, but most people have not been paying much attention up until now. A 5.5-magnitude quake rattled the Big Island Sunday afternoon, US Geological Survey officials said. No tsunami is expected from the quake, which is among the strongest of recent quakes felt around the Big Island. The quake rumbled an area near Kilauea Volcano just before 4 p.m.
A lot of people that live in Hawaii did not believe that something like this would happen. Rivers of lava are reaching areas that were not supposed to be reached, and Kilauea just keeps pouring out more. “Lava entered Green Lake within Kapoho Crater, producing a large steam plume … A Hawaiian County Fire Department overflight reported that the lava filled the lake and apparently evaporated all the water,” the report said. It would be difficult to overstate the massive destructive power of Kilauea. Even with all of our advanced technology there is nothing that we can do to control the rivers of lava. The best that we can do is to try to evacuate everyone and then get out of the way. At least six people were killed and another 20 injured on Sunday when Guatemala’s Fuego volcano erupted violently, spewing a stream of red hot lava and belching a thick plume of black smoke and ash that rained onto the capital and other regions. “It’s a river of lava that overflowed its banks and affected the Rodeo village. There are injured, burned and dead people,” Sergio Cabanas, the general secretary of Guatemala’s Conred disaster agency, said on radio. The eruption forced the Guatemala City’s La Aurora international airport to shut down its only runway due to the presence of volcanic ash and to guarantee passenger and aircraft safety, Guatemala’s civil aviation authority said in a Tweet. I have been writing about the changes to our planet for the past eight years, and it appears that those changes are now accelerating. 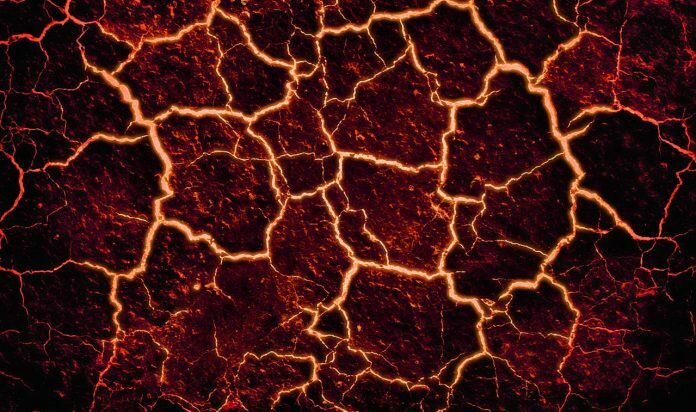 The number of earthquakes around the globe continues to rise, and volcanoes are beginning to behave in some unusual ways. So many major cities in North America, South America and Asia sit right along the “Ring of Fire”, and if the shaking of the crust of our planet continues to intensify, it is only a matter of time before major natural disasters begin to hit some of those cities. If Mt. Fuji were to obliterate Tokyo, or if Mt. Rainier were to pulverize Seattle, or if the “big one” finally hit the west coast of the United States, the global financial system would melt down instantly. We are far more vulnerable to natural disasters than most people realize, and it looks like the shaking of our planet is only going to intensify in the months and years ahead.